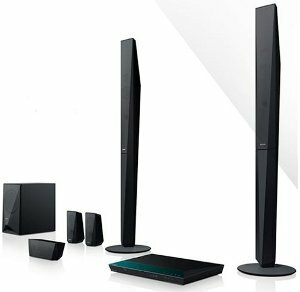 Watch stunning pictures and listen to crisp 5.1-channel surround sound with the BDV-E4100. Get ready to redefine your TV viewing experience with more access to entertainment thanks to Sony Entertainment Network, or stream content from other mobile devices wirelessly via NFC, Bluetooth or Wi-Fi. Bring alive those dialogues, feel the pulse of cricket matches or lose yourself in the music. And do it all with sleek style! 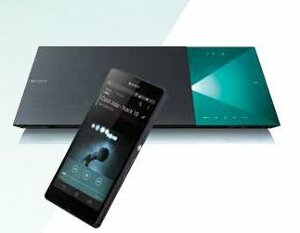 Play music or videos from your NFC and Bluetooth enabled smartphone with one touch. Or stream wirelessly from your PC, iPhone, iPad or iPod. Connect your smartphone, laptop or tablet without messy cables. Or play YouTube videos, online music and more, directly from the internet. Put yourself in the heart of the action with clear, powerful sound delivered by 4 satellite speakers and a sub-woofer, and an astounding 1000W output. Bring alive your home with flawless style with the ‘Sense of Quartz’ design - inspired by the gleaming, cut-glass edges of rock crystal.